Here’s a brief look back on how the 2018 season developed for the athletes I mentioned. Emma struggled a bit moving up to the longer distances. She DNF’d in her first IM in South Africa, then finished third at IM Austria, securing her Kona slot (another DNF). She had more success over the 70.3 distance, winning three races and finishing ninth in the 70.3 World Champs. After three 70.3 wins at the start of her season, Laura had to cancel her IM debut that was planned for IM Germany when she had issues with her Achilles. She recovered in time for two more 70.3 wins and her first full Ironman which she smashed with a new German fastest time and a win at IM Barcelona. Anne had a good build-up to IM Germany where she struggled with a flat early in the bike and pacing issues on the run. She still finished fourth, just enough to get a Kona slot. After finishing third at 70.3 Worlds she raced Kona without any expectations. The race turned out extremely well for her when she was able to ride with a big bike group and then to have the fastest run of the day which allowed her to finish in third place. Javier had a good first IM in Cairns when he finished sub-8 and in second after a close running duel with Braden Currie. He continued to race well on the 70.3 distance and was third at 70.3 Worlds after close racing with Jan Frodeno and Alistair Brownlee. His Kona race didn’t quite go according to plan when he lost some time with a flat in the last part of the bike and then didn’t quite have the run everyone (including himself) thought he had in him. After running just under three hours, he eventually finishing eleventh. For 2019/2020 he has announced a renewed focus on the shorter distances and the 2020 Olympic Games. Rinny had a solid first season back: She raced (and won) a few 70.3s, validated her Kona slot with a second place at IM Cairns, then finished fifth in Kona. She also secured her place on the Kona 2019 start line by finishing IM Mar del Plata in early December. I think you can expect her to contend for the Kona podium in October 2019. Meredith had to race a lot for her Kona slot – she finished two full IMs and four 70.3s between April and August. She wasn’t able to “figure out Kona” (adding a DNF to her long list of disappointments on the Island) and also didn’t seem to be fresh for Arizona in November. Liz had an up (wins at IM Philippines and IM Mont Tremblant) and down season (more injuries), so she decided to end her career after Kona. Racing without expectations, finishing twelfth is a satisfying good-bye race for her. Jodie had to focus this year on taking care of son Jack and supporting husband James, as a miscarriage made racing impossible. Hopefully 2019 is going to be a better year for her! Caroline took some time coming back, but she ended the year with a bang by winning IM Western Australia and securing a Kona slot. I’m sure she has her eyes on delivering another great race in Kona 2019. The First Sub-4 Bike Leg? Andrew delivered the first sub-4 bike ride at IM Texas (3:54:59), at first not accepted by Ironman because of the slightly shortened course. A few days after the race Ironman accepted the Texas results as valid as a lot of other courses are also short. Still, there wasn’t much marshaling and a lot of Texas results are questionable because of drafting – something that is unlikely to have Andrew him as there isn’t much drafting at the front of the race and without motorbikes on the course. Cam Wurf set bike course records on every course he raced this year (including Kona), but instead of cracking the four-hour mark was probably more focused on improving his run and placing well overall. Mel was able to win IM Texas with what is officially the IM-brand record, but the had more problems while racing 70.3 Philippines. It was determined that she needed another procedure to correct issues with her iliac artery, this time in her right leg. She had surgery in November 2018 and is hopefully recovering well to have a successful 2019 season. Angela returned to IM racing in June at IM Boulder, but she had contracted Lyme’s disease and struggled to run well. After racing more IMs in the Netherlands and Sweden, she received a Kona slot in late September when her protest led to a DQ of two athletes in the Netherlands. She had a great race in Kona, finishing in eighth place. After being forced to wear a halo after breaking his neck in Kona, Tim had a great Boston Marathon in April and also won his first 70.3 in Costa Rica. He was looking to add enough KPR points by racing IM Hamburg (9th) and IM Copenhagen (DNF) and was the final August qualifier when one slot rolled down. He tackled his Kona demons and was happy to race, finishing 36th. Matt is clearly the “comeback of the year”. After hitting a truck in the Kona race and almost bleeding to death, he was able to race IM Texas in April, but he still wasn’t fully healed quite yet. He missed qualifying even after podium finishes at IM Canada and IM Mont Tremblant, but he received a well deserved wild card entry by Ironman. In Kona he had a fantastic day, making up time on the bike and also having a great run, finishing in sixth place. A number of top Germans struggled in Kona, Jan Frodeno wasn’t able to race at all and Sebastian Kienle DNF’d. Still, Patrick Lange was able to extend the “German Streak” of male winners since 2014. He was helped by Andi Dreitz who finished 13th, while Maurice Clavel also biked well but then fell back on the run to 19th place. Anne Haug – representing the German ladies – had a great result with her podium finish in Kona. 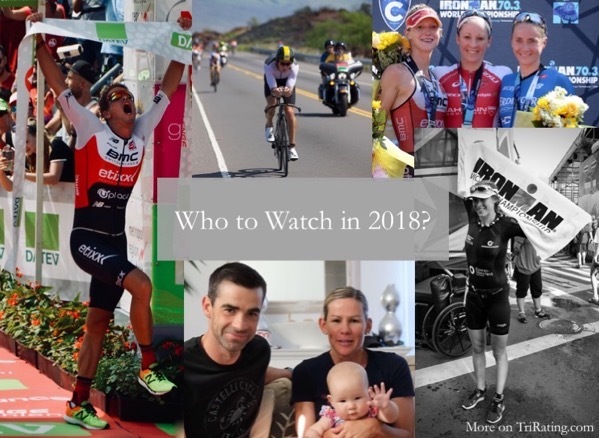 Some other women had issues (see the section on athletes stepping up to the IM distance above), but there is a long list of promising athletes for 2019. The list of great American Ironwomen had an interesting addition with Sarah True who finished second in Frankfurt and fourth in Kona in her first season of long-distance racing. Heather Jackson struggled in Kona but then went on to set a new US fastest time when winning IM Arizona. Other American ladies did well but didn’t quite have the great results they were looking for. The “old US guard” on the men’s side is still going strong, this year Tim O’Donnell, Matt Russell and Andy Potts finished in the Top 10, while Ben Hoffman struggled with two injuries and wasn’t able to race Kona. Beyond these four, there still isn’t a proven Kona contender. For example, Matt Hanson continued his string of great racing in Texas and frustrating Kona results (33rd this year). Once again, the top Scandinavian Kona finisher was Kaisa Sali, even though she was probably looking for more than seventh place. The other established Scandinavian ladies weren’t quite able to match her and finished well outside of the Top 10. This year’s Kona race had some more good results for British athletes, with Lucy Charles and David McNamee repeating their second and third places from last year and Joe Skipper and Corinne Abraham also moving up into the Top 10. With all the success on the shorter distances, it seems likely we will see more British athletes doing well in the coming years. On the female side, the Aussies have had two Top 10 (Mirinda Carfrae fifth, Sarah Crowley sixth), while Cameron Wurf was the best Aussie male in ninth place. Another solid year for the Australians, but it doesn’t look as if they will be able to snag their next Kona win soon. Ironman continues to work on their expansion in Asia and China, but the number of changing venues indicates that this is not an easy goal to achieve. We also haven’t seen any notable results by Asian athletes last season – the fastest IM finish was an 8:55 at IM Malaysia by Japanese athlete Kaito Toharo. It seems to me that the growth of races and athletes will feed off each other, and both will need a bit more time.